Sorry, this book is permanently out of stock. Congratulations! 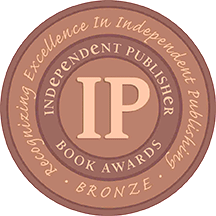 The Requiem Rose was awarded the Bronze Medal for Best Regional Fiction at the 2011 Independent Publisher Book Awards. Winter 1929 . . .
At the height of the tuberculosis epidemic, a patient dies every hour at Waverly Hills Tuberculosis Sanatorium. Wolfgang Pike is both priest and doctor at the sanatorium, but his medicine can't cure the sick and his religion can't bring peace to them—or to himself. After the love of his life, Rose, died tragically on a downtown street, Wolfgang began focusing all his energy on writing the perfect requiem for her. But nothing is perfect enough for Rose's memory. When Tad McVain, a seven-fingered mute veteran of the Great War, shows up to die of TB, Wolfgang discovers that McVain was once a concert pianist. McVain reluctantly agrees to help Wolfgang finish his requiem, and suddenly they find themselves surrounded by musicians. Seeing it as a long-awaited sign from God, Wolfgang and a nurse, Susannah, recruit a choir from the patients and begin a small orchestra. Wolfgang is convinced that he can heal through music. But his boss, Dr. Barker, opposes his every scheme. McVain and two fellow patients escape Waverly for a night of fun at the historic Seelbach Hotel, where they have a timely encounter with Al Capone. Racial barriers are crossed at Waverly, and tensions rise. The KKK begins an attack that starts with bricks through windows and escalates to murder. Wolfgang is forced to confront the demons of his childhood. A forbidden love begins to form and Wolfgang is forced to make a decision that could alter the rest of his life. And when Wolfgang hears the final and most devastating of McVain's series of confessions, what he hears is so disturbing that he begins to question his faith in God. Was it fate or coincidence that brought them all together on that wooded hillside? 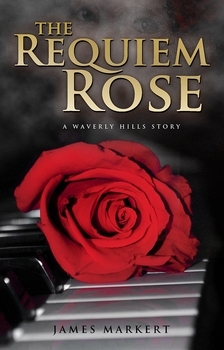 The Requiem Rose is the first of author James Markert's series of Waverly Hills novels. For more information on the author and the series, visit www.jamesmarkertbooks.com and www.thewaverlyhillsnovels.com. You can also like James Markert's Waverly Hills Novels on Facebook!